It has been two weeks since E3, the world’s largest gaming show, and the final pieces of the game console puzzle are starting to come into place. The public knows what the Xbox One and the PlayStation 4 look like, what they will run, what they won’t, digital rights management and their price. Ironically, I have yet to read or hear exactly why Microsoft MSFT -0.48% andSony chose AMD silicon to power their new consoles and my goal here is to simply lay it out. To get at why Microsoft and Sony chose AMD, you need to start with the content needs. Both makers were looking for a way to increase the console “footprint”, increase the amount of apps, and lower the cost of software development. 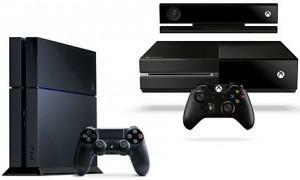 The Xbox One and the PS4 are designed to do a lot more than games. They designed the consoles to be the future hub for all home entertainment and home automation and control. To effectively do this, they will need hundreds of complex apps that are relatively straight-forward to code. Therefore, you need to start with an application processor architecture that supports this, and it’s not Power architecture. The apps processors that powers today’s Xbox 360 and the PS3 are based on the Power architecture. It delivered decent performance seven years ago, but it is much more difficult to program than the ARM (ARM Holdings PLC), MIPS (Imagination Technologies Group PLC), or X86 (AMD and Intel INTC -0.94%). Additionally, the technological investment in ARM, MIPS and X86 architectures and ecosystems dwarfed PowerPC over the last decade, rendering Power obsolete for the required performance per watt. In a world where your console needs to have as many apps as your smartphone, the only answer was ARM, MIPS or X86. As for custom, both Microsoft and Sony had different requirements for graphics, video processing, content security, and even memory. Sony and Microsoft could have attempted to pull it off on their own, but they just didn’t have the experience or the IP required to put five to seven billion transistorson one piece of silicon. They also could have contracted a third party like Open Silicon, but frankly, this is way too complex a project and the stakes too high to go with anyone who hasn’t done leading edge design. And who can forget the Microsoft’s “red ring of death” costing them billions and tarnishing the Xbox brand. The requirement for a custom SOC removed Intel from the running, as well as their graphics.My sources have confirmed for me that both Sony and Microsoft felt that MIPS didn’t have the right size developer ecosystem or the horsepower to power the new consoles. Then it came down to ARM versus X86 architecture. I am told there was a technical “bake-off”, where prototype silicon was tested against each other across a myriad of application-based and synthetic benchmarks. At the end of the bake-off, ARM was deemed as not having the right kind of horsepower and that its 64-bit architecture wasn’t ready soon enough. 64-bit was important as it maximized memory addressability, and the next gen console needed to run multiple apps, operating systems and hypervisors. ARM-based architectures will soon get as powerful as AMD’s Jaguar cores, but not when Sony or Microsoft needed them for their new consoles. Then there is the matter of implementation. Both Sony and Microsoft wanted a custom X86-based SOC, or system on a chip. SOCs are silicon similar in design to those in a smartphone, where every single piece of functionality is driven off of a single piece of silicon like the apps processor, graphics, video, image processing, audio, security, memory controller and I/O. The only thing separate inside the consoles are storage and some power management. The desire for an SOC makes sense for so many reasons. First is low power, as generally, SOCs are lower power than multiple pieces of silicon. Also, one piece of silicon generally takes less space and generates less heat than two or three chips. The requirement for an X86-based SOC ostensibly removed Nvidia NVDA -0.14% from the running. Every one of these factors above contributed to AMD getting the nod. AMD won this business because they have the advanced IP, know-how, experience and commitment to make this happen. They have leading edge IP in CPU, GPU, memory, video, audio, and I/O. They also designed the first quad core, X86 SOC, and it’s not a giant leap to take this to eight cores. Finally, AMD built an entire product division to support the effort that others weren’t prepared to commit. It was a clear-cut win. Now that is why Sony and Microsoft both chose AMD. You can find me on Twitter, LinkedIn and Google+. Disclosure: My firm, Moor Insights & Strategy, provides research, analysis, advising, and consulting to many high-tech companies, including AMD, ARM, Intel, Nvidia who are cited in this article. No employees at the firm hold any equity positions with any companies cited in this column.